Photo of Dome mine courtesy of Goldcorp's Flickr page. 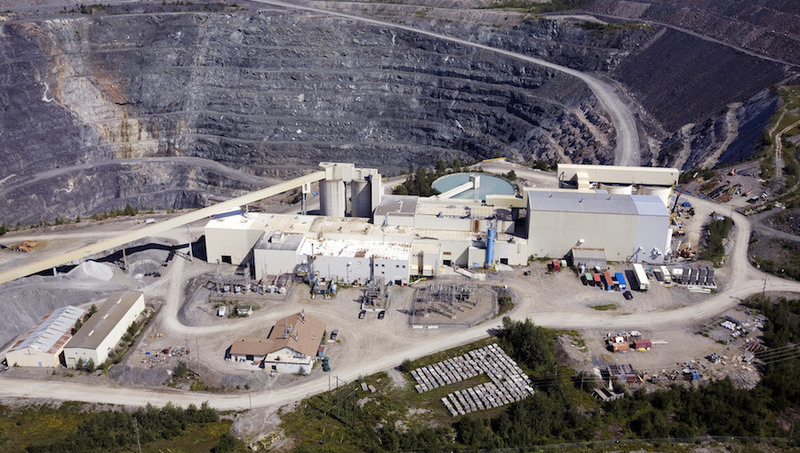 Porcupine Gold Mines, a subsidiary of Goldcorp (NYSE:GG, TSX:G), said last week that mining operations are permanently ending at the Dome underground mine in Timmins, Ontario, 107 years after the mine started up in 1910. Aging infrastructure, low productivity and depleted resources were all cited as factors in the decision. The minelife had been extended for 18 months in July 2016. The Hoyle Deep Deep project completed in 2016 is taking the mine deeper, while the Century project is a potential open pit mine and processing facility at the Dome mine. Dome's shutdown, effective December 31, affects about 140 employees – which represents 12% of Porcupine Gold Mines' workforce. The Dome mine was one of the earliest producing mines in the Abitibi Gold Belt, a 450-kilometre-long by 150-kilometre-wide swath of mineralization that stretches from Foleyet, Ontario, to Chibougamau, Quebec. It is the longest continuously operating mine in Canada and one of three – the others being Hollinger and McIntyre – that started the Canadian mining industry in the early 20th century. Early gold discoveries in the Porcupine camp were made starting in 1901, followed by the eventual discovery of the gold-rich Dome, Hollinger and McIntyre prospects in 1909. Additional gold deposits in the Porcupine camp – related to an increase in the price of gold – led to operations such as the Pamour Mine in the 1930s. Other notable gold camps discovered in the Abitibi Gold Belt include the Kirkland Lake gold camp (1911), the Noranda camp (1922) and Kidd Creek (1964). According to the Ontario Ministry of Northern Development and Mines, the Timmins and Porcupine gold camps have produced 73.3 million gold ounces from inception until the end of 2016. The Porcupine operation alone has produced over 65Moz. READ NOW: Goldcorp makes headway with plan to give Dome mine a new life.